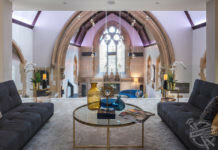 CHECK OUT this converted former school building in Archway, London that could be the world’s most expensive outhouse after going on the market for a staggering £1.195 million. 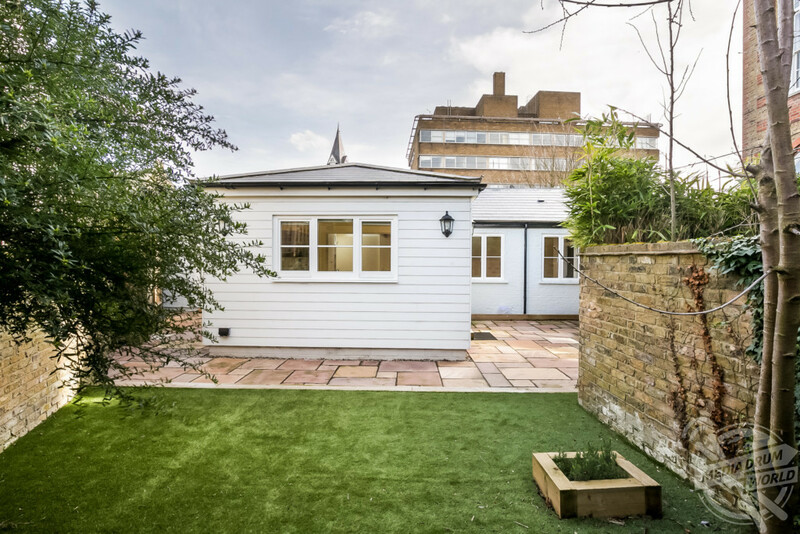 The Barn is a two-bed detached house that sits within the grounds of the City of London Academy and has overgone a dramatic transformation from its previous incarnation to its new look as a comfortable home. 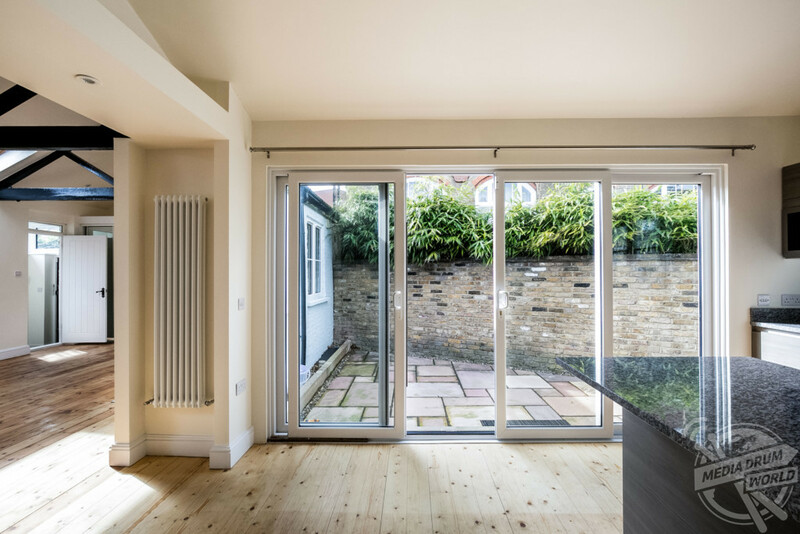 Images from the exterior show the simplistic one storey building which at first glance seems an unlikely venue for a luxury home in the capital. 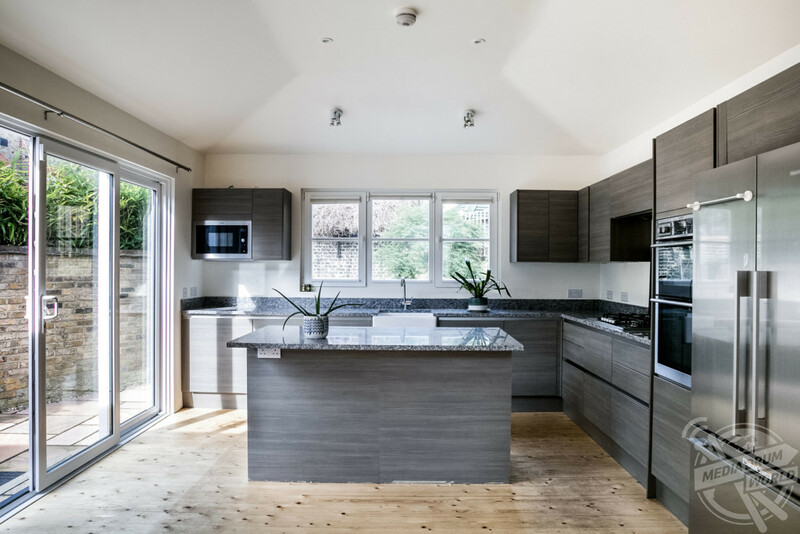 Photos inside reveal a beautifully airy, open plan unfurnished living space complete with a fully kitted out, high spec island kitchen. 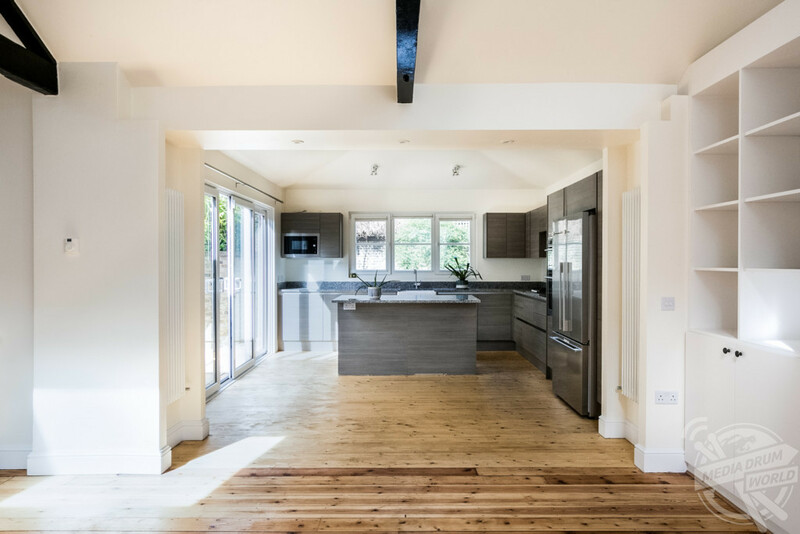 The property is entered through a lovely porch area which leads into the large L-shaped living space where the gorgeous timber flooring and exposed ceiling trusses immediately catch the eye. At the far end of the room is a built-in shelving system and ladder that gives access to a snug mezzanine area which was designed as a reading space by the current owners. 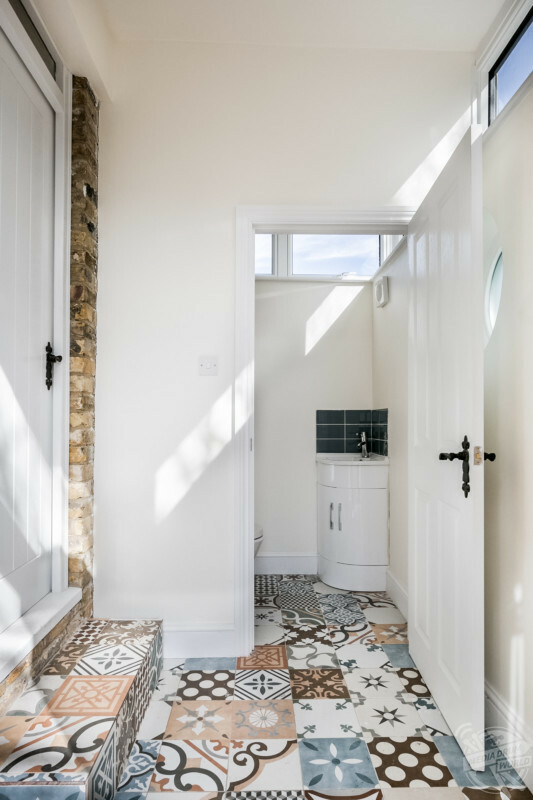 To the right is a door leading to the stunning master bedroom which is flooded with natural light thanks to a large skylight, as well as having its very own en-suite. 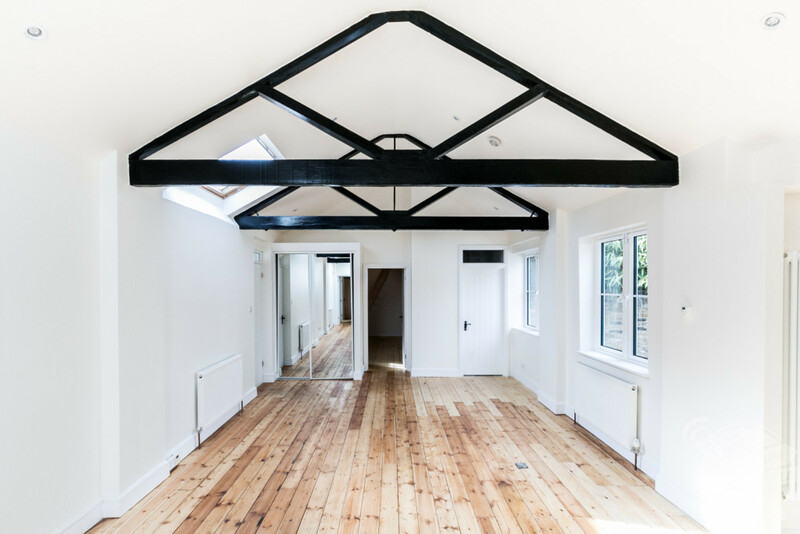 At the other end of the property, towards the front of the building is a good size second bedroom complete with its own shower room and timber-built mezzanine level. 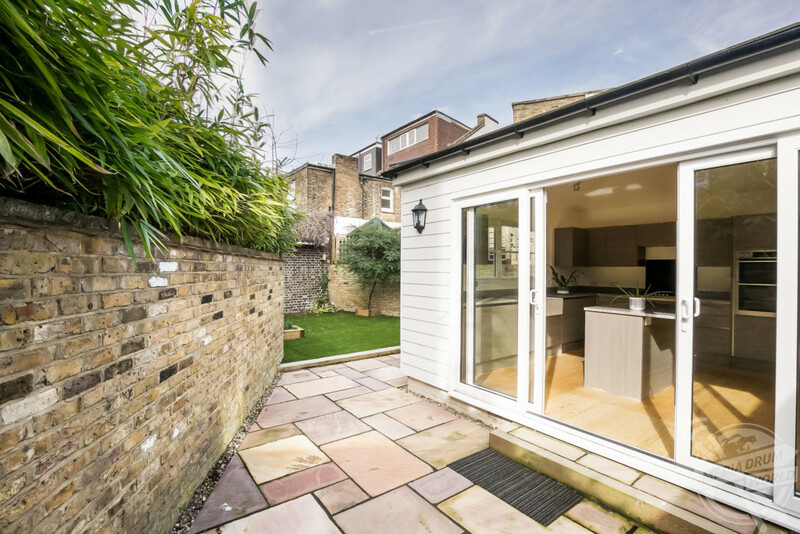 French windows open out into a pretty and secluded private garden which features a paved terrace and a larger area beyond that is laid with artificial turf. An allocated parking space sits adjacent to the building which is accessed via secure electric gates that also provide pedestrian access. 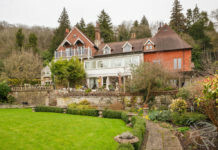 This most unusual of properties certainly comes with a price tag that reflects its proximity to neighbouring Highgate, with the area being one of the most expensive suburbs in which to live in London. 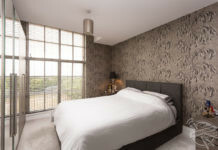 And no wonder why, the house is well positioned near the famous Hampstead Heath and beautiful Waterlow Park. 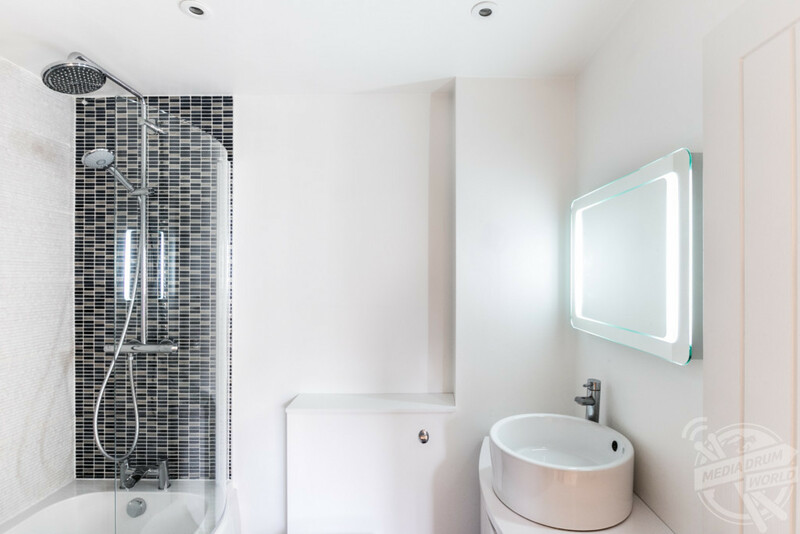 Meanwhile, the newly developed centre of Archway as well as Highgate Village and Dartmouth Park are all within striking distance, providing a wonderful array of boutique shops pubs and restaurants. 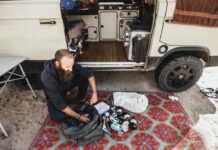 The area has become so exclusive in recent years that you could well find yourself rubbing shoulders with a host of celebrity neighbours in no time, with the likes of Harry Styles, Kate Moss, Liam Gallagher and Jude Law all homeowners in this sought-after pocket of North London.